A special meeting will be held on February 19, from 6 p.m. to 7 p.m at the Harrison Park Condos Community Center to brainstorm capital improvement projects for Harrison West that could be funded through an Urban Infrastructure Recovery Fund (UIRF) grant. The Harrison West Society is encouraging neighbors to offer ideas for neighborhood improvements that could include projects as diverse as park improvements to traffic calming. If you are unable to attend the meeting and would like to submit project ideas, you can do so here. 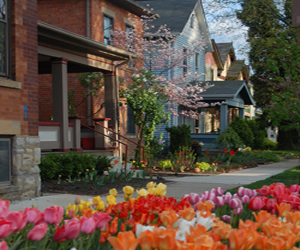 In 2012, the Harrison West Society asked for feedback from the neighborhood on priority improvements. Replacing existing street lights with acorn lights that match those in Harrison Park was a top priority along with several other suggestions. The results of the feedback and list of priorities from neighbors can be found here. 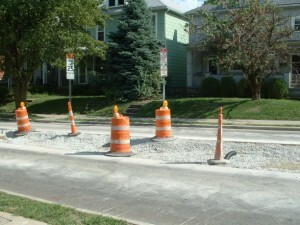 Last year, the society successfully petitioned for UIRF funding to complete the Harrison West Connector, which will continue the Olentangy Recreation Trail along the river behind Superior Beverage and Geer Gas, finally connecting it with the existing trail at Goodale St. Beginning this year, the city will use a new process to select capital improvement projects and has set March 15, 2014 as the cutoff date for submitting proposals. After the city reviews community submissions, a list of approved proposals for our neighborhood will be returned to the Harrison West Society. The society will then prioritize the projects and submit a final list by mid-June 2014. The new process the city is using to identify UIRF projects can be found here. The upcoming meeting will use the previous list of priorities as a starting point for discussion and will add to the list any other ideas from the community. The society’s purpose at this initial stage is to prepare and submit a list of 5-20 well thought-out proposals based on community feedback. Please plan to attend this special meeting prior to the monthly Harrison West Society meeting, which will follow at 7 p.m.